Amino acids are the building blocks for every cell in our bodies and come from protein foods. They are used for every process in the body, including muscle building, liver detoxification, brain chemistry, tissue repair and every other function. Amino Acids have some of the most dramatic effects of any supplements in that people often feel the impact of an amino acid as quickly as 20 minutes after taking it. The best way to determine whether you need amino acids is through the TRIAD test which measures 22 different essential amino acids. The same symptoms, such as anxiety and insomnia, can be caused by deficiencies in different amino acids so it’s important to know what the levels are. Once we know which ones are depleted we can get to work replacing them and rebalancing the body. Tyrosine: produces dopamine, which we need for focus. It’s also one of the two building blocks needed to make thyroid hormone, iodine being the other. Promotes energy and a sense of well-being. Phenylalanine: makes epinephrine and nor-epinephrine which the body uses to make cortisol, the hormone that gives us motivation, energy, and stamina. 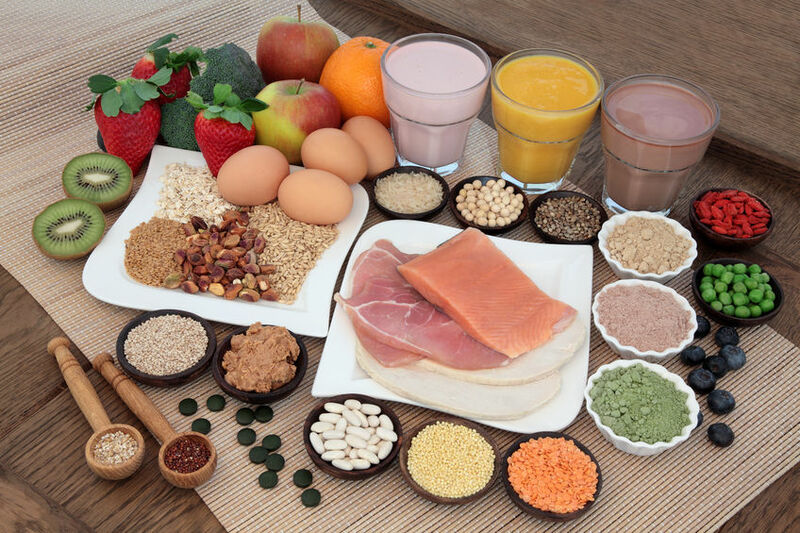 Poor protein intake causes depletion of phenylalanine , creating low cortisol and fatigue, weight gain, insomnia and depression, among other things. Low cortisol at night can also cause disrupted sleep, so it’s important for maintaining healthy sleep. Tryptophan: makes serotonin, which helps us with mood and a sense of contentment and happiness. Low tryptophan can cause insomnia, irritability, anxiety, and depression. Arginine: this is the amino acid that helps us detoxify ammonia, a neurotoxin that can irritate the brain or bladder (causing frequent and urgent urination or bed-wetting in children.) It is also a vasodilator and regulates blood pressure. I have found that some cases of high blood pressure are brought on by a hidden bacterial infection in the gut (SIBO) which produces ammonia, depletes arginine and causes the blood pressure to rise. The solution is treating the infection, repleting arginine. BCAA: branch chain amino acids leucine, isoleucine and valine are needed to build muscle and to power the brain. Lysine: helps the body absorb and conserve calcium and form collagen. Also prevent common viral outbreaks, such as cold sores caused by herpes viruses. Serine: needed to repair the myelin sheath and boost acetylcholine, the brain chemical we need for brain processing speed and memory. Made from the amino acid, glycine, which can be depleted by off gassing of the common solvent, xylene. Xylene is found in paint, new carpeting, propane gas, cigarette smoke and any solvents such as used in car body shops and for furniture cleaning and repair. So consider the possibility that your memory loss may be caused by your new home or repainted room and is completely reversible! Don’t wait to feel better. TEST, DON’T GUESS so you know which amino acids need to be boosted. Sign up for a FREE 15 minute consult to get started! People usually take them for a short time only and can then be maintained by increasing protein intake.